The Sanctuary is an established waterfront community in Boca Raton, Florida located on Federal Highway (US 1) and Yamato Road. The community is comprised of 107 luxury single-family homes, built in the late 70's, ranging from 4,000 to 12,000 square feet. The Sanctuary offers a unique Florida Lifestyle perfectly suited to boaters and water lovers. The Sanctuary has a lovely clubhouse, marina, and tennis facilities. This waterfront community is very exclusive and appeals to security-conscious home owners. The unique custom homes are situated on the Intracoastal Waterway and private canals. Large 1/2 and 1/3 acre home sites, private boat docks and no fixed bridges allow residents to make the most of an ideal Florida location. 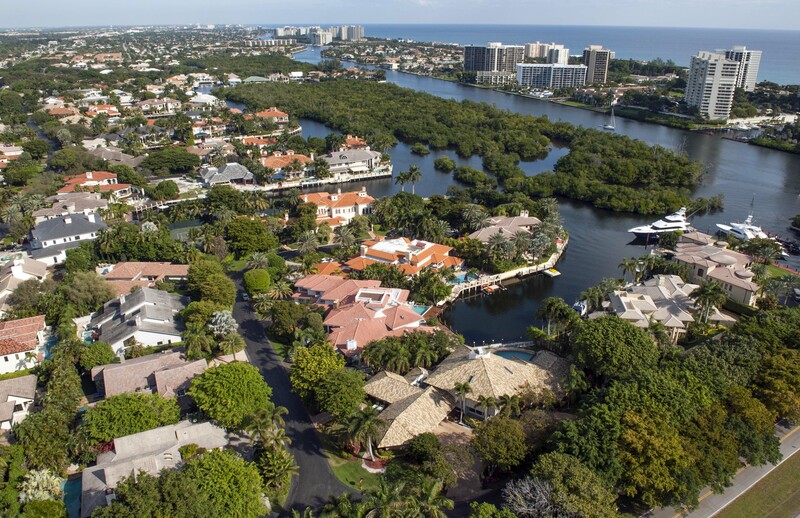 This Boca Raton waterfront community's marina can accommodate 40' to 60' boats. Waterfront communities like The Sanctuary, established with ample lot sizes and prime boat access, are prized in this area. For a private tour of The Sanctuary and other Boca Raton Luxury Home Communities, please contact us at Mizner Grande Realty. We specialize in South Florida's finest properties. The Best Real Estate Company In Town!